Twenty-three is an awkward age for most. You’re definitely not a kid anymore, but not quite considered an adult either. You’ve got your whole life and career ahead of you—and that can be as daunting as it is exciting. Navigating a career in the fast-paced world of recruiting and human resources is tough and missteps are inevitable. And who could blame you? At 23, the pre-frontal cortex (the part of the brain responsible for higher-level cognitive functions like decision making), isn’t even fully developed. John stresses how important it is for recruiters starting out to have deep knowledge about the business and how it functions. “I need to be able to engage with the business and demonstrate I understand their challenges and talent pain points as a way to build trust and confidence,” he says. Knowing the business not only helps you understand the needs of hiring managers, it also helps you engage top talent. “A-players want to know about the work, and sourcing and selling with a generic EVP and job description doesn’t work for that kind of talent,” John says. 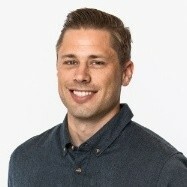 Lars Schmidt is not only the founder of executive search and talent strategy agency Amplify, he’s also led talent acquisition and employer brand strategy for companies like Hootsuite and NPR. His advice to greenhorns in the field? Be selfless. Jessica Miller-Merrell’s distinguished career in HR and entrepreneurship has been defined by what she calls “a series of happy accidents,” and this has shaped how she thinks about career growth. But having patience doesn’t mean waiting around for something to happen. Jessica emphasizes that you must also be “persistent to seek out knowledge, information, relationships, and opportunities." Ed Nathanson, the founder of consulting agency Red Pill Talent, wants to remind his younger self that recruiting and HR is the business of people. As the president of CareerXRoads, a community of recruiting and talent acquisition professionals, Chris Hoyt has helped many people at a crossroads in their lives. His advice is about finding that spark within recruiting and then putting all of your energy toward it. Finally, LinkedIn’s Head of Talent Acquisition Brendan Browne shares that now is the time to go big. There you have it: Several lifetimes of advice from some of the best in the business wrapped into a nine-minute read. Hopefully these ideas will help you avoid any major pitfalls as you start down the path of helping others find their paths. And if you’ve already got a few years under your belt, know that it’s never too late to keep refining your approach.